Vehicle tracking’s MDT (Mobile Data Terminal) is a next-gen resilient device that can be tailor-made to cater the needs of operators in the field for effective communication and to increase the productivity of fleets in both businesses oriented and nonbusiness oriented atmosphere. The existing 3G wireless modem in most of the current vehicles are too slow to support applications or even devices that can enhance the communication and affectivity of any fleet. Another important issue is the access to the internal resources. Swift access is a hurdle most of the time and as a result duty of personnel working in the field gets affected gravely. We have developed a one of a kind MDT that can assure effective communication, access to data and can act as an effective tool for people who are in their line of duty. By doing so, personnel can allocate closest and most appropriate and available unit for dispatch in case of an immediate requirement. The system will automatically identify the response time for dispatch. If the person in the vehicle does not respond to the call, the work will automatically be assigned to the next nearest vehicle. Dispatch will be generated automatically when a customer makes a request, in that case, the system identifies the nearest available vehicle and assigns the vehicle with the new assignment. Besides this, customers can also track assigned vehicle’s location and status. The system will identify response time based on emergency status. Another added advantage is that there is an option to insert a sim card and make calls to other users. 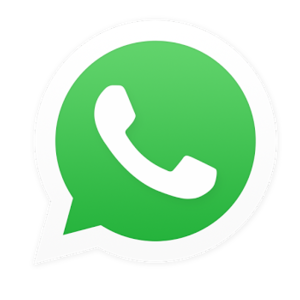 Group calls can be enabled (like Whatsapp voice messages) to send group instructions. The MDT Solution that we offer will increase the efficiency of security patrolling vehicles, roadside assistance vehicles, ambulances, fleets, etc. • You get an option to view the status of patrolling guards and the possibility of filtering based on the status. • Option to view the location of each guard and vehicle in a centralized Google map which can be accessed from your control center. This will increase the response time of Security Personnel. • You can avail a detailed playback option to retrieve historical movements along with all actions and incidents. Playback will be accessed based on vehicle and date with a specific time period. • Detailed reports for dispatches with filters on date, time for a specific vehicle or a group based on guard, customer, etc. • Facility to communicate with a group of vehicles based on category or location of vehicles. • The application will support any number of languages. We will provide English as the default language. The customer can choose another language from the list provided. • There will be a separate mobile application facility for the staff in headquarters or for who manages the fleet. This application is supported by Android and IoS. • Centralized web applications which will give you access to add or manage drivers, vehicles, incidents, alerts, dispatch, customers, etc. • Besides these, you can track your vehicle if it goes missing or is stolen. • Option to increase and decrease play back speed of the navigation bar that your vehicles have traveled. • The device can withstand all weather conditions and temperature. You can avail custom-made devices, but it is based on the number of units you order. • Option to produce highly custom-made tracking devices with touch screen and fitting to mount it in the vehicle. • Two-way communication features which allow deployed personnel to communicate to a central office and to the people working in the field. All support and training will be provided by our team. It starts from the introduction to implementation and further online and offline support if there is a requirement. Once implemented, we will start the training for your personnel as well as the people in the centralized control center. Further support will be provided in case of any doubts or misconceptions. This means you will not need to hire someone to do the training and support. Once the training is over you can actively centralize the dispatching of personnel to various locations as and when required using the data terminal. • You will get real-time notifications, alerts, warnings, sirens, etc. from the system even if you are on the move. • You can increase response time taken by your personnel and centralize workflow so as to dispatch quickly in cases of emergency. • You can document all the activities and don’t need another documentation system to keep track of your employees and your fleet. • Any sort of communication may be reviewed by your supervisors at any time and any employees not in compliance with your policies can be subjected to lawful action. • The new system will cater to effective communication between dispatchers and drivers. This reduces the error rate in communications. • Unwanted use of vehicles can be avoided and thus save on fuel costs. • You can save up on a lot of time wasted by repeating messages frequently between the drivers and dispatchers. project, all the devices will be interconnected and fully functional. This shall improve the efficiency of your personnel as they can be accessed when there is a call to action. The data regarding the location, status and even the distance from a place of incident is available with MDT and this reduces the cost incurred by ineffective management of the fleet. This means you save on fuel as well as time and effort of your employees.